The UVA wrestling team (7-5) closed out the South Beach Duals on Sunday (Dec. 30), splitting its matches with SIU-Edwardsville (0-7) and No. 21 Lehigh (1-7). The Cavaliers defeated SIUE 29-12 before falling to nationally-ranked Lehigh 28-12. Fifth-ranked junior Jack Mueller (Dallas, Texas) continued to set the tone for the Cavaliers at the top of the lineup, posting a pair of bonus-point victories on the day that included a pin against the Cougars of SIUE and a major decision against Lehigh. He was one of two Virginia wrestlers to go undefeated on the afternoon as junior Sam Krivus (Greensburg, Pa.), the No. 17 wrestler at 141 pounds, also won both matches on Sunday. Mueller now has five bonus-point wins, including four pins, in his five duals since coming off a redshirt earlier this month in a dual at No. 6 Missouri (Dec. 20). 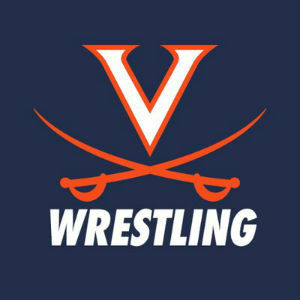 Virginia will return to action in January, competing at the Virginia Duals at the Hampton Coliseum in Hampton, Va. (Jan. 11-12). In the first dual of the day, the Cavaliers won 7-of-10 weight classes and jumped out of the gates with bonus-point victories in the first three bouts as Mueller recorded a pin before 133-pound sophomore Louie Hayes (Orland Park, Ill.) and 141-pounder Krivus posted back-to-back tech falls. Sophomore Michael Murphy (Lookout Mountain, Tenn.) picked up a decision at 149 pounds before the Cougars would get on the board with a victory at 157 pounds. Three more Virginia wrestlers would pick up victories in the dual with freshman Cam Coy, the 18th-ranked wrestler at 165 pounds, taking a major decision and both senior Chance McClure (Commerce, Ga.) and sophomore Jay Aiello, who is ranked seventh at 197 pounds, each taking their wins by decision. Against Lehigh, a squad that has wrestled six duals against teams ranked in the top 12 nationally, Mueller provided Virginia with a strong start with a major decision. The Cavaliers would get two more victories on the afternoon with Krivus winning at 141 pounds and sophomore Jake Keating (Naperville, Ill.) posting a tech fall at 157 pounds. The Mountain Hawks, whose strength is down the stretch through the heavier weights in the lineup, would rally for the dual victory with wins through the final five weight classes.